STORY: In the 13th century, on the island of Konoshima (in the Seto Naikai, Inland Sea, of Japan) there existed two feudal clans, the Kagami and the Sue, both aligned to the same Daimyo. They lived in peace until war on mainland Japan crushed the Daimyo. The Kagami swore fealty to the new Daimyo while the Sue were loyal to their master until the end. 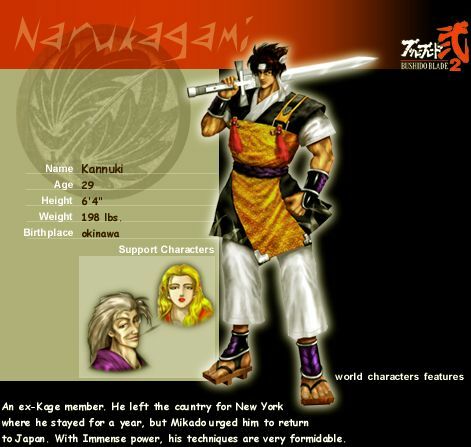 The conflict between the two began with the Kagami drawing the Sue off of the island and into battle. 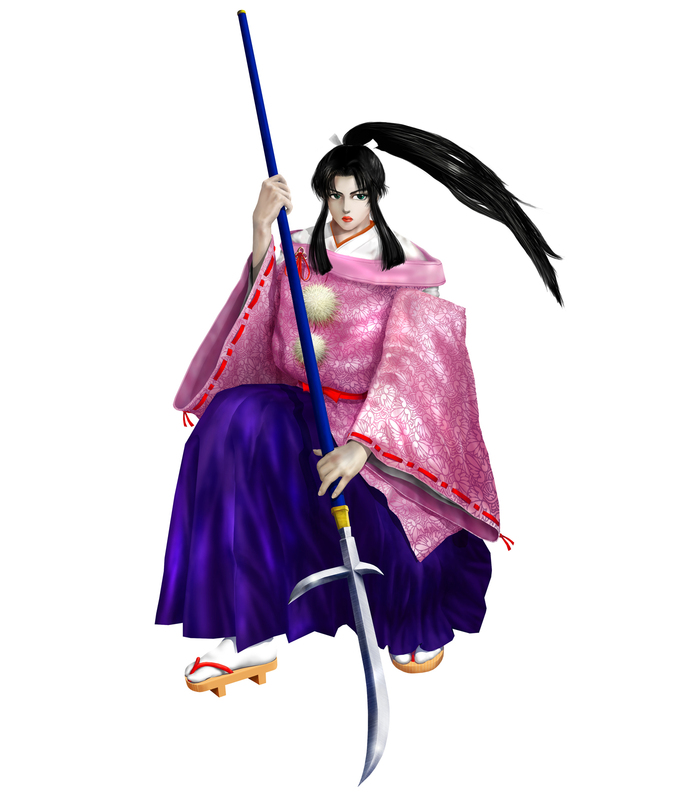 The Sue, having been defeated in battle, then lost their sacred sword the Yugiri. For centuries after, secretive battles were fought that were fierce, but not widespread. 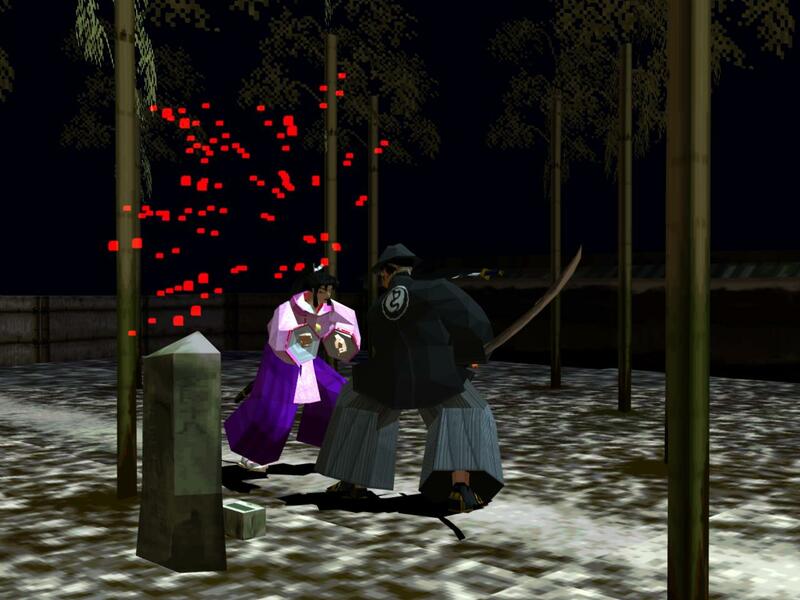 Some 800 years later the Shainto school, comprised of the remaining descendants from the Sue clan, attacked the Narukagami Shintoryu, the Kagami clan dojo, at their headquarters: the Meikyokan. 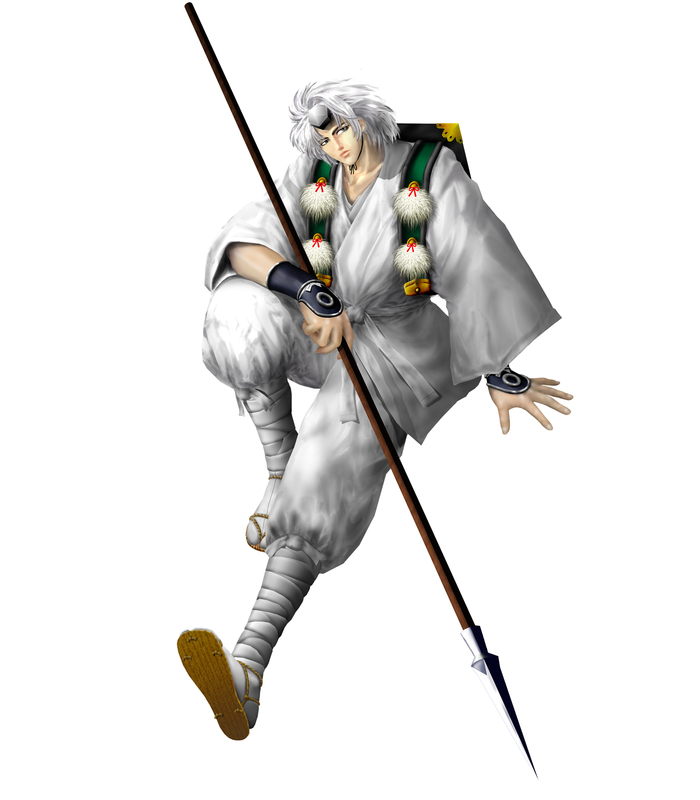 To redeem their honor, they move to recover the Sacred Sword Yugiri and wipe out the last descendant of the Kagami family. You're welcome for the stylish death. 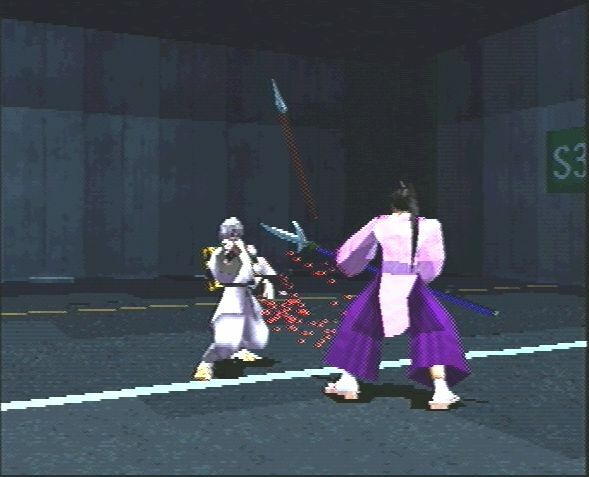 REVIEW: The original Bushido Blade was an innovative & memorable weapon based fighting game in 1997, and one of the best Playstation exclusive fighters if you ask me. A year later, Square & Lightweight released the sequel, and even in that short period of time... managed to put out a worthy successor to the first game. 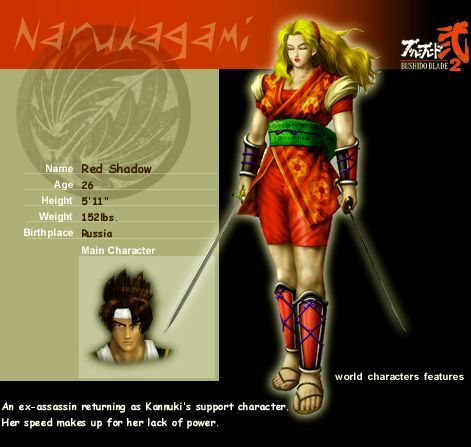 The sequel brought back all of the elements that made the first game stand out, and added in tons of new characters, more weapons, and more diverse interactive environments. 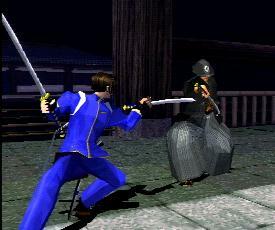 This time around, each of the characters have distinctively unique abilities with certain weapons, and are also considerably stronger when using their "trademark" weapon. 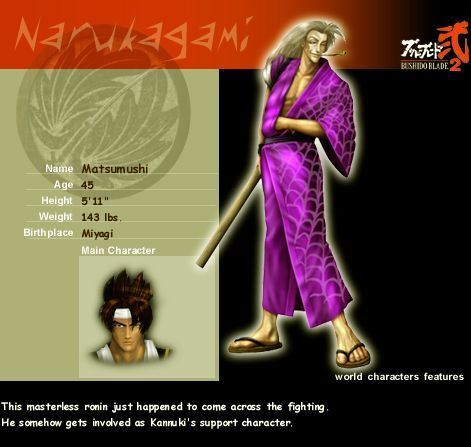 Each character also follows his or her own story and path throughout the 1-player story mode, which manages to flesh out each of their personalities. 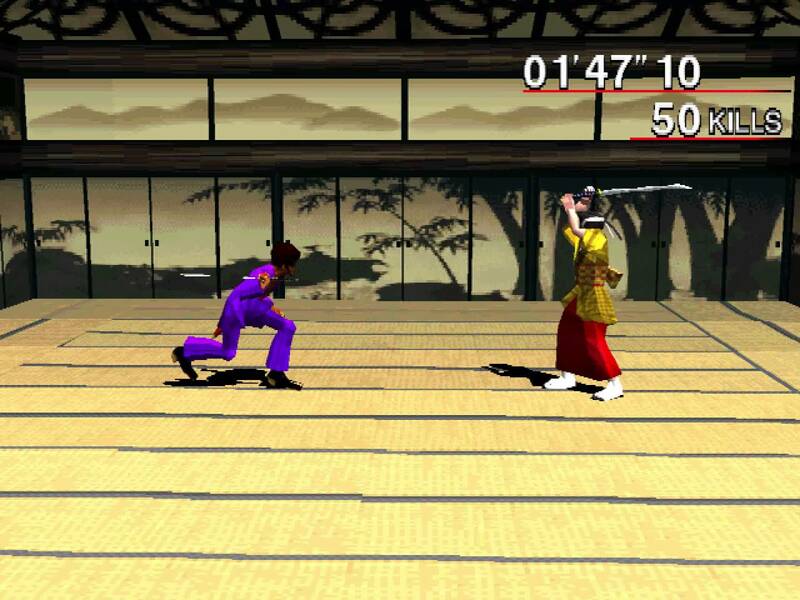 No doubt, the story mode is a vast improvement over the originals. 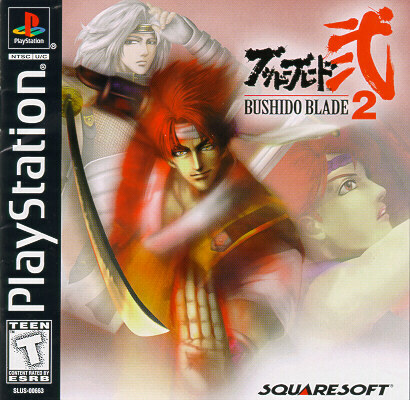 In retrospect, Bushido Blade 2's story mode was one of the best story modes to appear in a fighting game in its respective era. Aaaah... my blood comes out in squares. There are a ton of secret characters to unlock by playing through the story mode, most of which are fairly interesting designs. 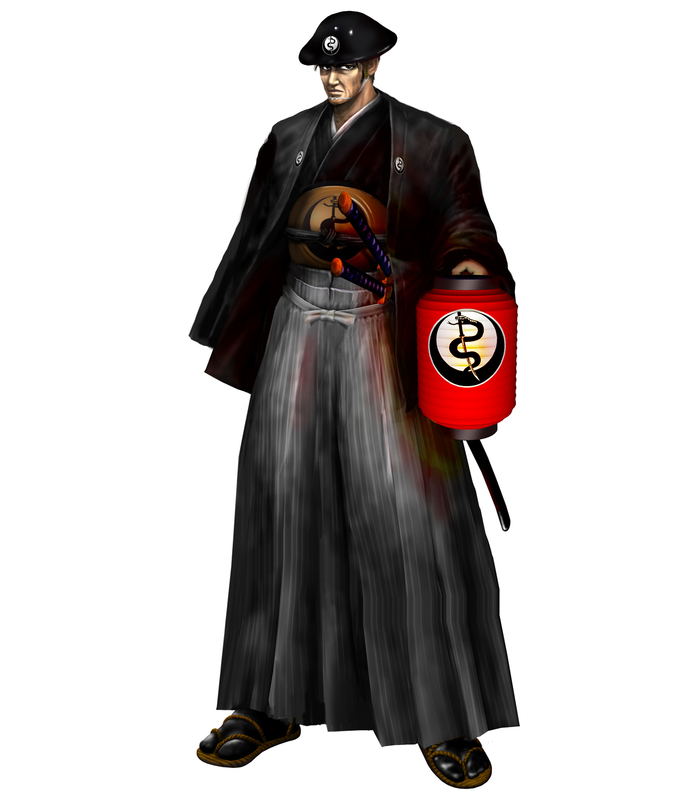 Along with some unlockable veteran characters from the original game, the newcomers add a nice touch and balance out the roster in more ways than one. 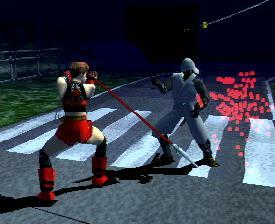 Along with diverse appearances, some characters even introduce entirely new weapons. 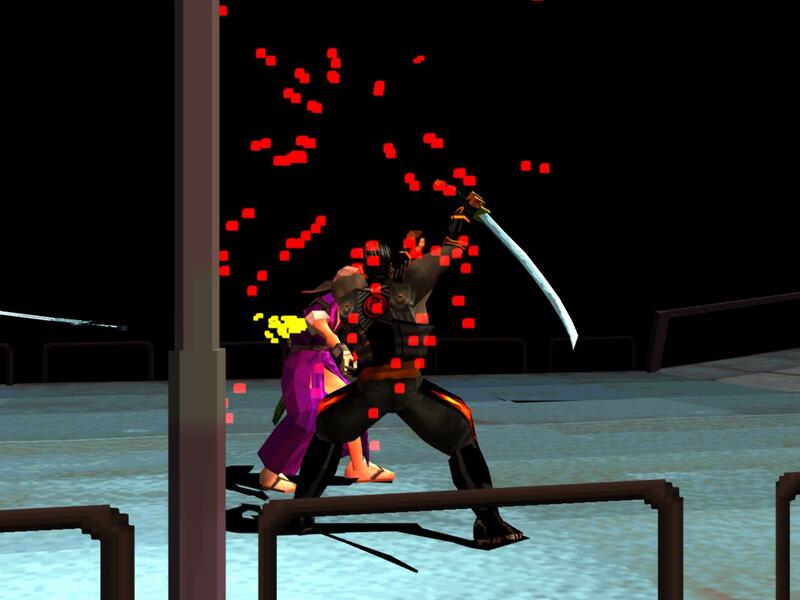 Two secret characters even fight with guns, making for some interesting, yet dishonorable battles! 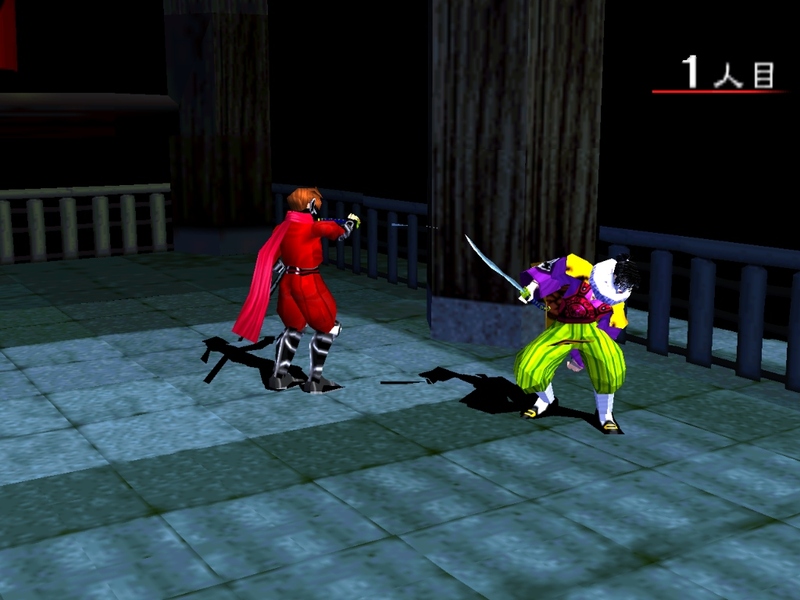 (It's actually quite fun to play a gun VS katana battle, especially when you can win while using the underdog swordsman... and yes, it's quite possible in this game... they actually balanced it rather well). 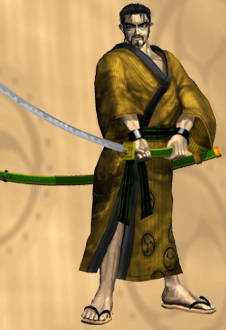 Some of the new gameplay mechanics introduced in Bushido Blade 2, include: the addition of throws (unique to each character), the ability for some characters to wield dual swords, and brand new sub- weapons (which players can throw at their enemy, some with the ability to kill on impact). There are definitely some interesting sub-weapons this time around, whether it's Takeru Hongou's tomahawks or Chihiro's frog... yes, frog. The sub-weapon mechanic adds another interesting layer to each character, with some characters clearly having stronger (and more lethal) sub-weapons than others. 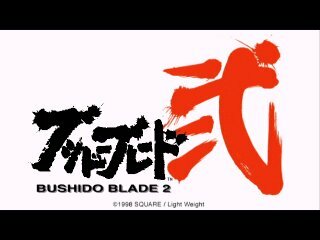 Bushido Blade 2 presents an distinct mood & feel, yet brings some color and excitement to the series thanks to the new characters and environments. 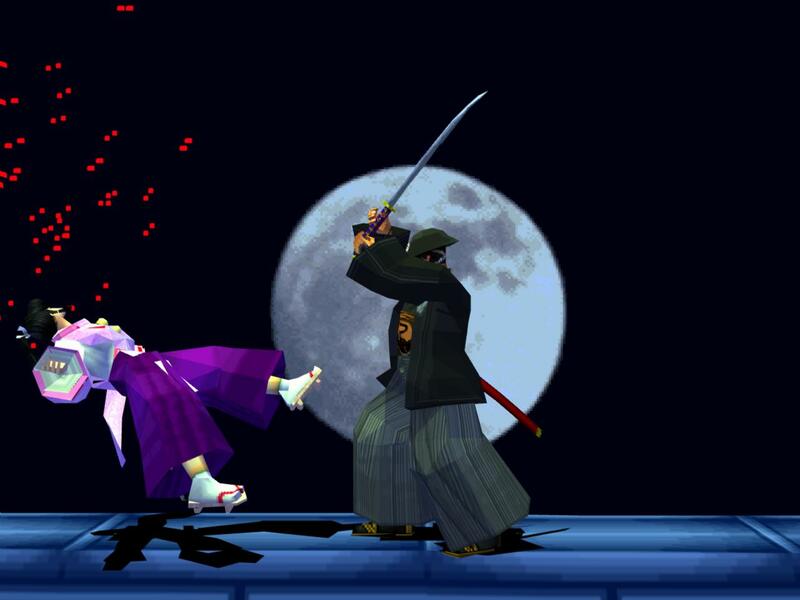 The new stages are more diverse this time, and closer to what you'd expect out of a fighting game. 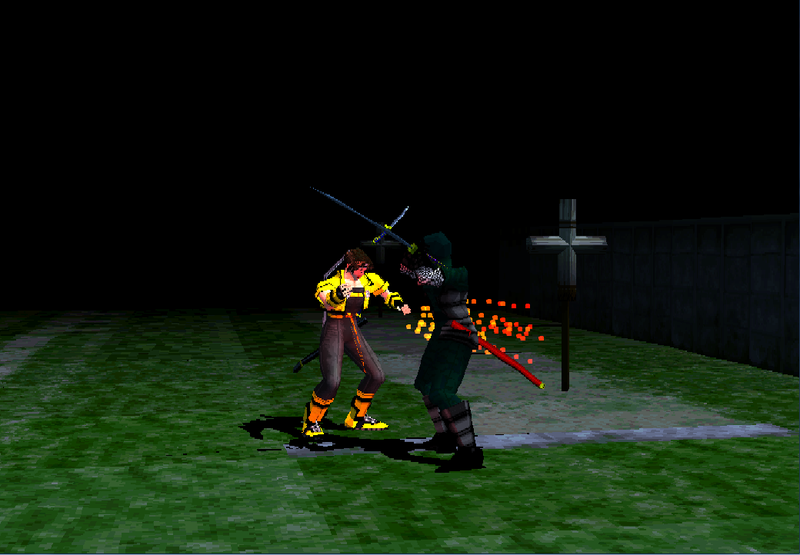 However, multiple tiers and interactive elements in the backgrounds make BB2's stages pretty interesting. 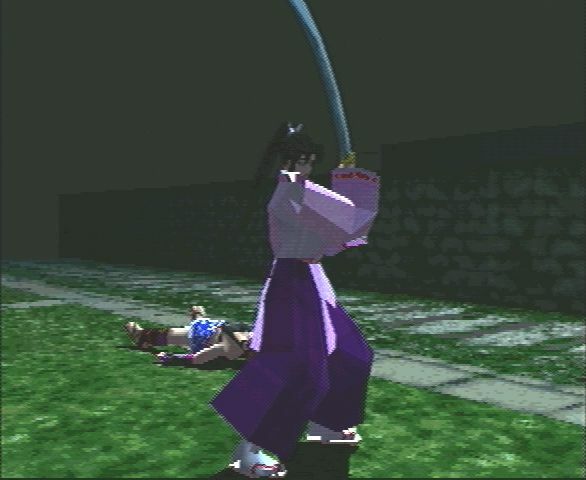 The graphics have considerably improved, but given this is a PS1 game... everything is still pretty blocky and pixilated. 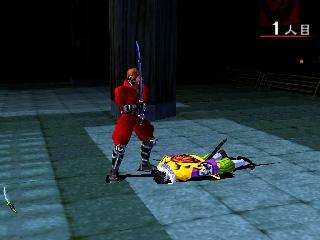 On the flipside, the sword-fighting animation is considerably authentic... not to mention satisfying K.O's and death animations. 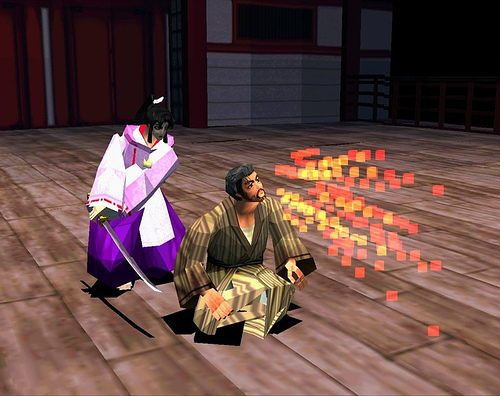 The intense opening movie and traditional Japanese music are also well done and effectively put you into the setting of the game. 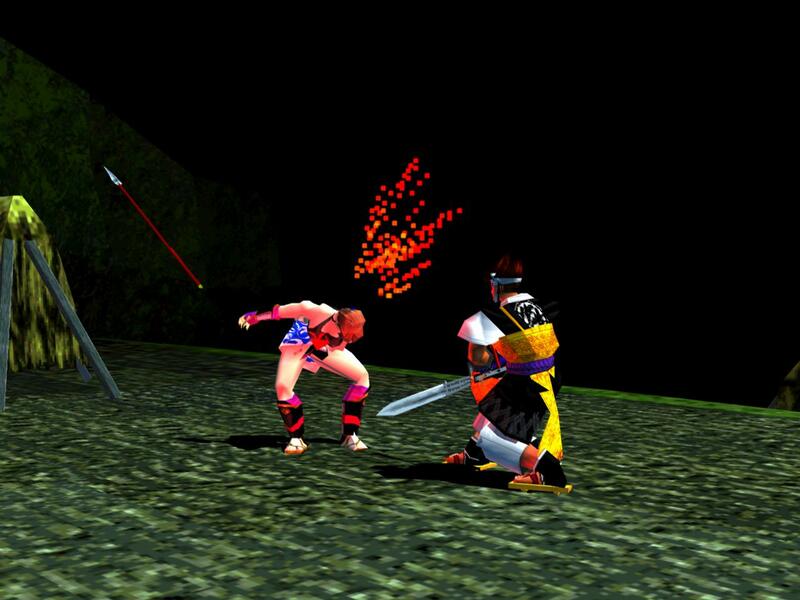 While Bushido Blade 2 is another attempt at very "unorthodox" fighting game, the potential for "1-hit kills" can be pretty fun if you open your mind to it. 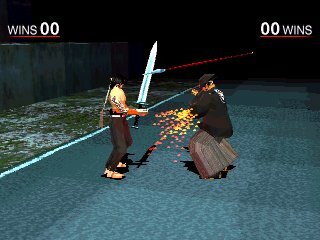 No, Bushido Blade 2 isn't nearly as technical or competitive as other arcade fighting games, but offers a unique gameplay experience in its own right that shouldn't be missed. 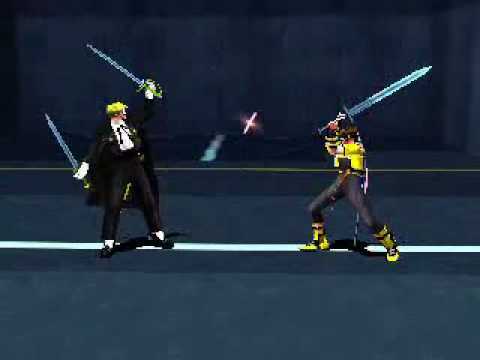 In addition to the basic Story and Versus modes, the 1-player "Slash Mode" also returns from the first game. The new Slash Mode puts you in a tower filled with ninjas and such, and yes... you have to ascend the tower kill them ALL without dying to reach the end! I actually had a lot fun with this mode.